(Nanowerk News) National Cheng Kung University (NCKU) Microelectronics and Chemical Engineering students, led by Department of Electrical Engineering and Institute of Microelectronics Prof. Wen-Chau Liu and Department of Chemical Engineering Prof. Huey-Ing Chen, have won a gold medal at the 38th International Exhibition of Inventions of Geneva with their Semiconductor Transistor-Type Hydrogen Sensor. 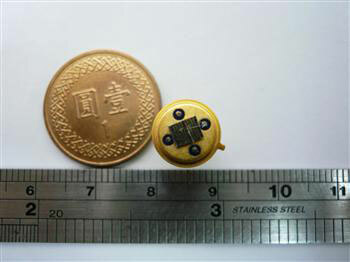 The Semiconductor Transistor-Type Hydrogen Sensor is small in size and light in weight. It only requires a little power to operate, saving both energy and carbon. The sensor can detect a hydrogen leak within 10 seconds. It has high stability and is helpful to public safety. The Semiconductor Transistor-Type Hydrogen Sensor is mainly applied to public safety, such as hydrogen leak monitors of chemical factories, hydrogen input monitors required during semiconductor manufacture, hydrogen leak monitors of automotive and aerospace industrial fuel cells and hydrogen leak monitors required during medical equipment manufacture. Prof. Huey-Ing Chen added, “We came up with the method of water producing hydrogen about a week before the exhibition. The team was inspired by the idea that solar energy and electrolyzed water could both produce hydrogen. We decided to use electrolyzed water with a battery to produce hydrogen. After the water produces hydrogen, the hydrogen is poured into the sensor, which will instantly produce messages such as light and sound and create an early warning effect.